It's our custom on long car drives to listen to audio books on history. Recently Rachelle and I drove back to Enid from Florida and listened to the 12 hour audio book Mayflower: A Story of Courage, Community, and War by Nathaniel Philbrick. The New York Times named this book one of the ten best books of the year (2006) and it became a finalist for the Pulitzer Prize in History. Rarely have I enjoyed an audio book more than this one. Tidbits of information about the Pilgrims and their journey to the New World came fast and furious. One particular piece of information fascinated me. Edward Winslow (1595 - 1655) was one of the original 102 passengers on the Mayflower and a leader of the English Pilgrims who landed on the shores of America on November 11, 1620. Winslow would serve as the governor of Plymouth Colony in 1633, 1636 and then again in 1644. In 1624, not yet four years after the Pilgrims came to America, Winslow wrote an account of the early years. His book, Good Newes from New England, or a True Relation of Things very Remarkable at the Plantation of Plimouth in New England, is not only primary source material about the Pilgrims, it details many customs and traditions of the Native Americans (Indians). Instead of records and chronicles, they take this course, where any remarkable act is done, in memory of it, either in the place, or by some pathway near adjoining, they make a round hole in the ground about a foot deep, and as much over, which when others passing by behold, they inquire the cause and occasion of the same, which being once known, they are careful to acquaint all men, as occasion serveth therewith. And least such holes should be filled, or grown up by any accident, as men pass by they will oft renew the same: by which means many things of great antiquity are fresh in memory. So that as a man travelleth, if he can understand his guide, his journey will be the less tedious, by reason of the many historical discourses will be related unto him. Using these memory holes the Pokanets shared important events in their history with their children and grandchildren as they walked, telling tribal stories and passing down their heritage as they paused to keep the memory holes clean from overgrown brush. The Pokanet Indians seemed to have understood the importance of preserving past in order to maintain the cultural cohesiveness and intellectual unity of their people. Could it be that one of the reasons our nation seems to be falling apart at the seams is because we have refused to keep clear and clean the memory holes of our past as a nation? As Independence Day 2016 approaches, I think God that my parents and educators instilled within me a love for America's forefathers and our nation's heritage. A remarkable number of marriages will end in divorce. Every marriage is susceptible. 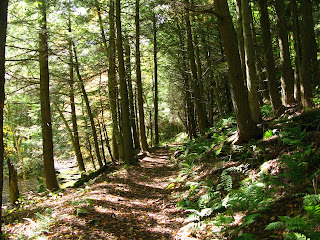 The path to divorce is never short; it's a winding trail that often circles upon itself again and again. However, I've never met a couple on the journey toward separation who didn't at some point wish to jump off the trail and heal their marriage. The problem is usually discernment, not desire. Few couples seem to know the proper way to maintain a healthy marriage or to heal a broken marriage. I recently toured a wine factory in Morocco. The wine master walked us through the very tedious and precise manner in which Moroccans make their fine wine. There is a formula. Those who don't know the formula--or refuse to follow the formula--cannot produce fine wine. Likewise, there is a formula to maintain healthy marriages and to heal broken marriages. Though every person and every marriage is as different as snowflakes, the formula works regardless of the person or couple who follows it. The formula involves 15 words and 15 seconds. "You are neither the source nor the solution for the trouble or pain within me." Say this to your spouse. Say it out loud. Say it intentionally. Say it thoughtfully. Say it lovingly. You may not at first believe it; but say it. When you walk into a room that's dark, you don't understand how electricity works, but that doesn't keep you from flipping the switch. You don't have to understand how light works to enjoy its effects. So too, these words are a panacea for broken marriages. You may not understand how they work, but don't let it stop you from saying them. Most couples spiral downward because each spouse points the finger at the other. "You are the problem!" "If you would only ...." "You never..." "You...you...you..."
Your spouse is never the source for any turmoil within you; neither is your spouse the solution for the pain you feel within. There's no doubt that the actions of the one you love can be hurtful or painful; but the Apostle Paul said, "I have learned to be content (i.e. "self-sufficient") in who I am" (Philippians 4:11). 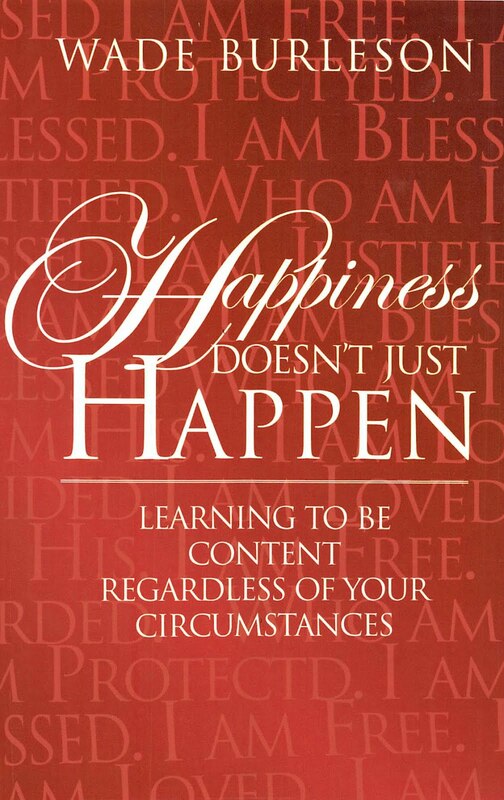 Many English translations wrongly translate Philippians 4:11 as "I have learned to be content in whatever state (or circumstances) I am" but the words "state" or "circumstances" are not in the original. Paul learned to be self-satisfied in who he was. Many men receive their identity from work; but that's not who we are, it's what we do. Many women receive their identity from those to whom they are related. "I'm Mary, the mother of..." or "I'm Suzy, the wife of ..." But that's not who you are; that's to whom you are related. I tell women all the time they better not get their identity from their husbands or kids because for eternity they'll neither be married (according to Jesus) and their kids will be the same age as they are. Likewise, men, until you get your identity from some place other than work, you'll never understand what it means to be content in who you are. So, again, who are you? The Apostle Paul said, "I am who I am by the grace of God" (I Corinthians 15:10). Your identity is to come from the incredible grace of God. Who are you by the grace of God? You can only begin to answer that question by saying, "I am...."
I am loved by God's grace. I am adopted by God's grace. I am guided by God's grace. I am forgiven by God's grace. I am justified by God's grace. And on, and on, and on. That's who you are by God's grace. When you understand who you are by the grace of God, then you are "self-sufficient" regardless of your circumstances. You may have a spouse whose actions cause all kinds of trouble; but your spouse is never the source of or solution for the trouble or pain within you. God is both the source and solution for what ails you within. After you speak those fifteen words lovingly, intentionally, and thoughtfully, kiss your mate for fifteen seconds. Don't pull back. Push in. Push in sweetly; softly; sincerely. Kissing is intimate. It is an intimate expression of your love. As you move in to kiss for fifteen seconds, you are communicating "I love you as you are; for who you are; and not for what you give. I have all I need in Christ, independent of you. I am loving you as God loves me." The words are the principle by which you live; the kiss is the passion by which you love. 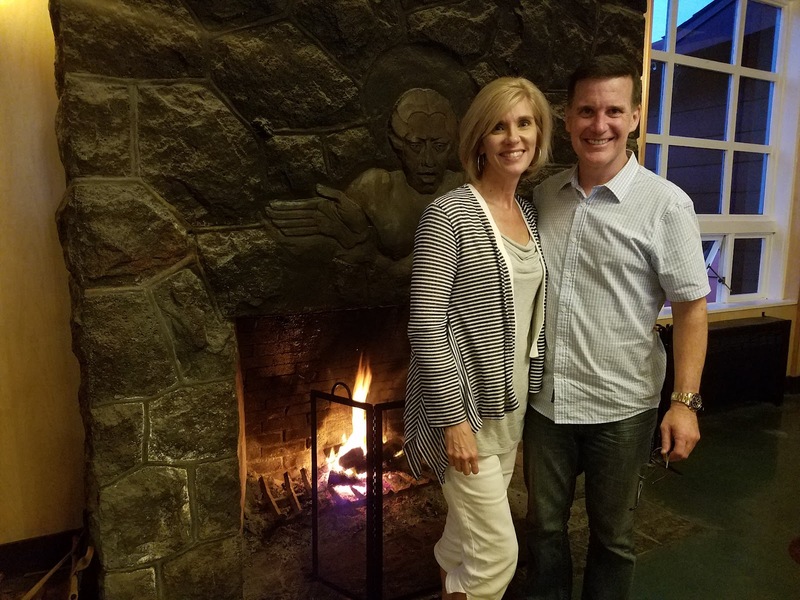 You'll find that it's not nearly as difficult to love your spouse as God loves you when you stop blaming your spouse for what you feel inside. When the love of God in Christ becomes your Source, and when Jesus becomes your "balm in Gilead," the healing takes place within which only He can bring. It is only when you are filled up with God's love (see Ephesians 3:19) that you begin to leak His love to those you love. In my experience, the major reason marriages end is because someone on the trail toward divorce never steps off and assesses the situation from the perspective of God's grace for them. We are called to "live a life consistent with our calling" (Ephesians 4:1). That means graced people should live gracious lives. God never designed your spouse to be the source of your fulfillment nor the solution for your pain. God's grace is sufficient, You are who you are by His grace. Remember the 15 words and the 15 seconds next time you feel yourself wanting to blame your spouse for your internal unhappiness. God is your Source, not your spouse. Dr. Ron Paul is warning Americans of an impending economic disaster. This former U.S. Senator and others like him believe that everyone should purchase "silver and gold" in preparation for the dollar's imminent collapse. His advice may be sound, but contrary to those who believe financial catastrophe is a bad thing, I take the position it is ultimately good. I believe many people will only seek the riches of God's grace when they've lost their material riches. Comedian Joan Rivers used to joke "My friends are all dropping like flies," says Joan. 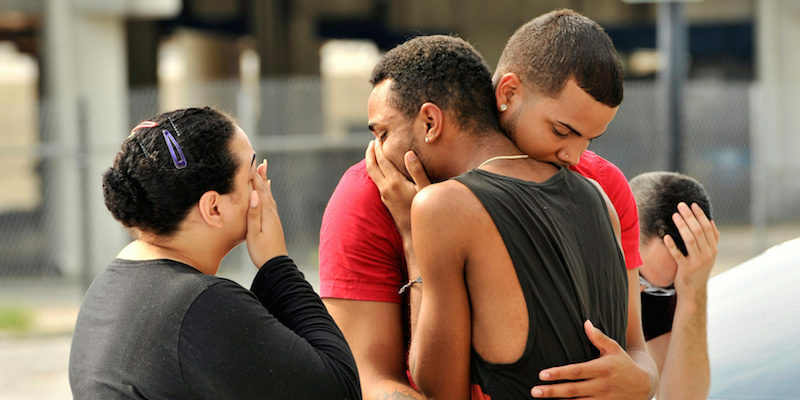 "I go to the funerals of my girlfriends and I hear the minister say, 'She’s in a better place.' What? Are you kidding me? No, she’s not. She had a house in the Hamptons!" As long as you have a house in the Hamptons, you'll never look forward to a home in heaven. As long as you are fixated on material things, you will never focus on spiritual things. When a lame beggar sat at the entrance to the Temple asking people for money, Peter and John passed by, and Peter said, "Look at us!" When the lame beggar fixed his eyes on the two men and noticed they weren't well dressed or rich in attire, Peter said, "We don't have any silver and gold in our possession, but what we do have we give to you. In the name of Jesus Christ, rise up and walk." (Acts 3:6). Every miracle in Scripture is a parable for your life. Like this lame beggar, you and I will will never be able to live well until we understand what real wealth is and from where real wealth comes. Paul wrote a letter to followers of Christ who lived in the city of Ephesus and reminded them that they were at peace with God and forgiven of all their mistakes and screw-ups in life "according to the riches of His grace" (Ephesians 1:7). He later writes that this gift of redemption and the "forgiveness of sins" is freely given to them "so that in the ages to come He might show the surpassing riches of His grace in His kindness toward us in Christ Jesus" (Ephesians 2:7). This verse (Ephesians 2:7) is my favorite verse in the Bible. Heaven is not a perpetual church service; it is Christmas morning every day for eons to come. God unwraps for us each new day "the riches of His grace in His kindness toward us." Heaven is nothing more, nothing less, than the Creator's kindness toward those in Christ. Paul says his entire ministry is to share with people "the riches of God's grace" in Christ Jesus (Ephesians 3:7). The Greek word translated "riches" is ploútos. The root of this Greek word comes from sailing, where the sail is "full" (Gr. pleo) or "abundant" with wind. When a person is full of material things they are considered "full" or "rich" or "wealthy" in this life. But the Bible cautions us against finding our fullness (e.g. fulfillment) in material riches. Jesus said, "the deceitfulness of riches (ploútos) choke desire for the Word of God out of you" (Matthew 13:22). Paul told Timothy to "command those who are rich in this present world not to be arrogant nor to put their hope in wealth, which is so uncertain, but to put their hope in God, who richly provides us with everything for our enjoyment" ( I Timothy 6:17). "The God of our Lord Jesus Christ, the Father of glory, may give unto you the spirit of wisdom and revelation in the knowledge of Him: That the eyes of your understanding being enlightened; that you may know what is the hope of His calling, and what the riches of the glory of His inheritance in the saints..." (Ephesians 1:17-18). Do you understand the "riches of God's grace" for you in Christ? Do you know the specifics of those riches? Have your "eyes of understanding been enlightened?" 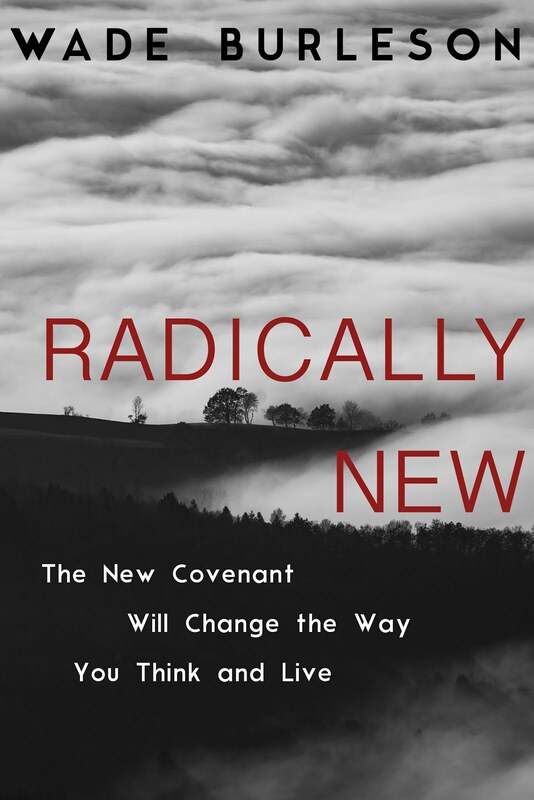 Recently I completed an online book entitled Radically New: The New Covenant Will Change the Way You Think and Live. I am in hopes of getting it published in soft cover soon. 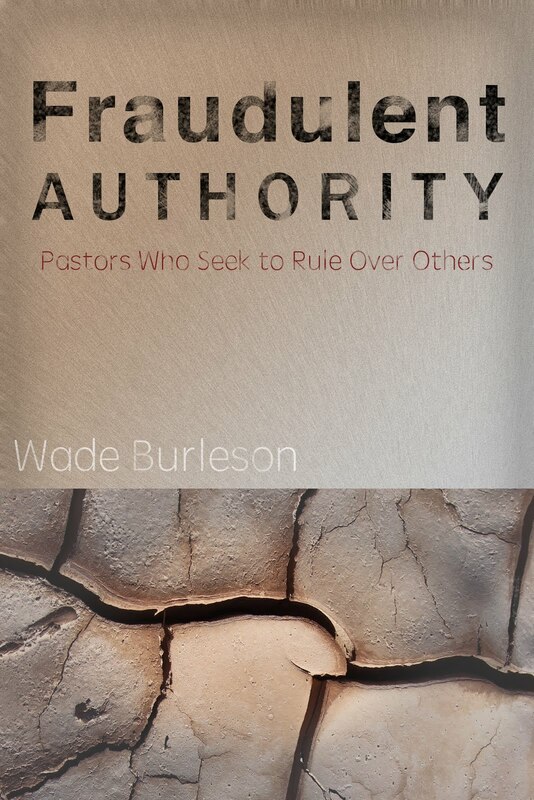 This book is my attempt to describe "the riches of God's grace for you in Christ Jesus." 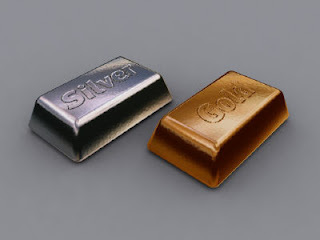 My desire is that we all might discover, as did the lame beggar in Peter's day, that real fulfillment in life comes from not accumulating silver or gold in preparation for an economic collapse, but from discovering the riches of God's grace for you in Christ Jesus in anticipation of eternity. I have many friends on Facebook. Some are Muslim, some are Christian, some are straight, some are gay, some are conservative, some are liberal. They're all my friends. I read what they write. I learn from their writings. I don't always agree with what they write, but I celebrate their freedom to write what they think and what they feel. Facebook is a wonderful tool. It keeps people connected. However, Facebook can also become dangerous (in my opinion) - very dangerous. It can become a tool for Big Brother. I'm not referring to the television show. 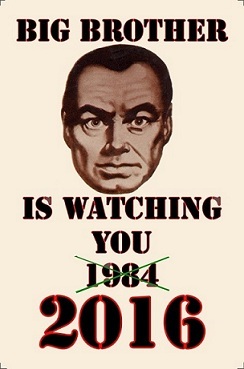 Big Brother originally entered English vocabulary with George Orwell's book Nineteen Eighty-Four. Written in 1949, Nineteen Eighty-Four was a futuristic novel about the world turning (by 1984) into a dystopia, a place "opposite of utopia." Orwell believed totalitarian governmental leaders (e.g. Big Brother) would seek to control the way people think. Orwell's novel takes place in Airstrip One, the country formerly known as Great Britain, but now a satellite of the superstate Oceania. Orwell portrays the world in a perpetual state of war with omnipresent government surveillance with public manipulation by the political elite. Those in control (e.g. Big Brother) persecute individualism and independent thinking. Any opinion, thought, or spoken word that opposes the party line is considered thoughtcrime and prosecuted. Big Brother goes after individualism and independence, manipulating the population into political correctness. 'Every line of serious work that I've written since 1936 has been written directly or indirectly against Totalitarianism." Totalitarianism by definition means "the ideology of the whole is superior" (total - whole - arian - superior - ism - political ideology). Orwell was frightened that Big Brother would eventually be able to manipulate and control the thoughts of people to establish a collective political correctness and lead the world into Totalitarianism. 2016 has become Nineteen Eighty-Four. "Downtown Orlando has no bottom. The entire city should be leveled. It is void of a single redeeming quality. It is a melting pot of 3rd world miscreants and ghetto thugs. It is void of culture. If you live down there you do it at your own risk and at your own peril. If you go down there after dark there is seriously something wrong with you. Disney does everything in its power to shield visitors of Disney from its northern blight. That doesn't change reality. Disney may be the happiest place on earth but Orlando is a national embarrassment. If this is an act of domestic terrorist it is so important that we don't publish the religion, name, or motive of the terrorist as not to offend anyone." One may not agree with what Kenneth Lewis wrote. That's not the issue. The freedom for Kenneth Lewis to think, say, and feel differently than the whole is the only way we keep America from descending into Orwellian dystopia. You, too, may be contributing to the Orwellian nature of political correctness when you demand everyone on your Facebook feed think and write the way you do. If you really cherish freedom - not just say you do, but really cherish it - then celebrate the fact you have friends who disagree with you. Let them write what they think without de-friending them or humiliating them. That will be your contribution to building the utopia we call America. Don't let your Facebook feed become Big Brother. Ten years ago this month, I lent my voice – and what some have considered my strategic parliamentary acumen – to affect change in the Southern Baptist Convention. I worked day and night, on countless phone calls, teleconferences and in-person meetings to alter the course of the nation’s largest protestant denomination. I have since left the SBC with no intention of ever returning. But I retain, perhaps stubbornly, a distant interest in the health and wellbeing of the churches and people who helped shape my childhood and subsidize my theological education. Today, ten years hence from a thousand miles away, I had a tremendous sense that these efforts – joined by many – were not in vain. There is no small degree of irony that they were made possible, in large measure, because of a man I opposed so vehemently in the historic presidential election of the 2006 Southern Baptist Convention, held in Greensboro, NC. Having been removed many years from active participation in Southern Baptist life, and removed even further from so much of the theological and cultural adiaphora I once championed, I have a few brief reflections on the actions today of my erstwhile brethren – some estranged and yet wounded – who have spoken and voted with great courage to do the right thing in a world that desperately needs men and women of courage to do the right thing. First, I owe my thanks to Ronnie Floyd. On the issue of racial reconciliation, he has led with boldness and vision. This week, for the first time in Southern Baptist Convention life, he convened a panel to speak honestly, humbly and openly about the tremendous racial divide that still infects the religious, cultural and political context of the nation. Watching the proceedings from an office in Washington, D.C., I was wistful about an earlier iteration of my denominational engagement. And I was also hopeful, recognizing as men ought often recognize that change of a substantial and lasting effect does not happen in a fortnight. Today, Southern Baptists have taken a stand on the right side of history when it comes to the issue of race. Pastor Ronnie Floyd guided that evolution with grace and strength in a way that only a man of deep prayer, faith and character could. Second, I found myself simultaneously saddened and encouraged by the convention’s repudiation of the confederate flag in a resolution proffered by Rev. Dwight McKissic of Arlington, TX. First, why I was saddened. As will doubtlessly be reported more often than necessary, Houston Judge Paul Pressler, an architect of the conservative movement in the Southern Baptist Convention and a man of tremendous Christian charity and genteel manner stood to object to the resolution. He was frail, emotionally animated, and clearly angry. Flashing across my monitor I saw a man I know well, and deeply love, reduced to a shell before the convention messengers, many of whom will never know the price he paid, the arrows he sustained, nor the scars he bears having put his name, his family, and his reputation on the line for a cause in which he deeply believed over the last half century. He was a lion in winter. Having built his life’s witness and work on a reputation for correctly adjudicating the hills upon which a man should offer his life, he chose this last one very poorly. It is likely that Southern Baptist’s last public memory of Judge Pressler will be these few moments yesterday in St. Louis. For those of us who have known him well – whose lives have been marked by his kindness, counsel, and courtesies – it is but a passing moment, albeit painful to behold, when a man who might and should have known better wrongly judged the momentum against which he summoned his strength and voice. And then, why I was encouraged. For many years I have known Georgia pastor James Merritt. Years ago, as a young seminarian, he encouraged me individually and personally in ways I have never discussed or written. In recent years, my appreciation and admiration of him has grown as I’ve observed him – listened to him – and learned about his integrity, though I myself am far removed from the natural orbit of his influence. Today, without any forewarning, I saw him stand and speak. He spoke boldly – as he always does. He managed to alliterate – at which he is famously unparalleled. But above all, he threw down a gauntlet before the Southern Baptist Convention with no certainty about whether he would be reviled or revered. Headlines today coming out of the annual meeting of the Southern Baptist Convention will surely acknowledge, with singular interest, the messenger’s unmitigated determination to repudiate the last emblem of racist bigotry from it’s storied past. It is unlikely that Merritt will receive the credit, but it is certain that he wasn’t seeking it. Some months ago I was asked to attend this year’s Southern Baptist Convention. Until last week, I contemplated that possibility. Today, I’m glad I chose to stay in DC and watch from afar. I saw, without question, the end of an era that needed its final chapter closed, and the rise of a statesman from yesterday’s battles who spoke with eloquence and precision to nudge the convention toward an unequivocal stand on the right side of history when it comes to the matter of race. Your life is designed to be a beautiful piece of music. God designed it that way. He's the Conductor; your life is the music. The universe is the great symphony. Following the Father's lead is the key to people hearing the music being played by your life. Both science and the Bible agree that your life is designed by God to be music in a grand symphony. Let me first show you the science and then I'll show you the Scripture. The scientific M-Theory, otherwise known as Membrane Theory, posits that the sub-atomic particles we see in nature (e.g. quartz, electrons, etc...) are nothing but "musical notes" on a tiny vibrating string. 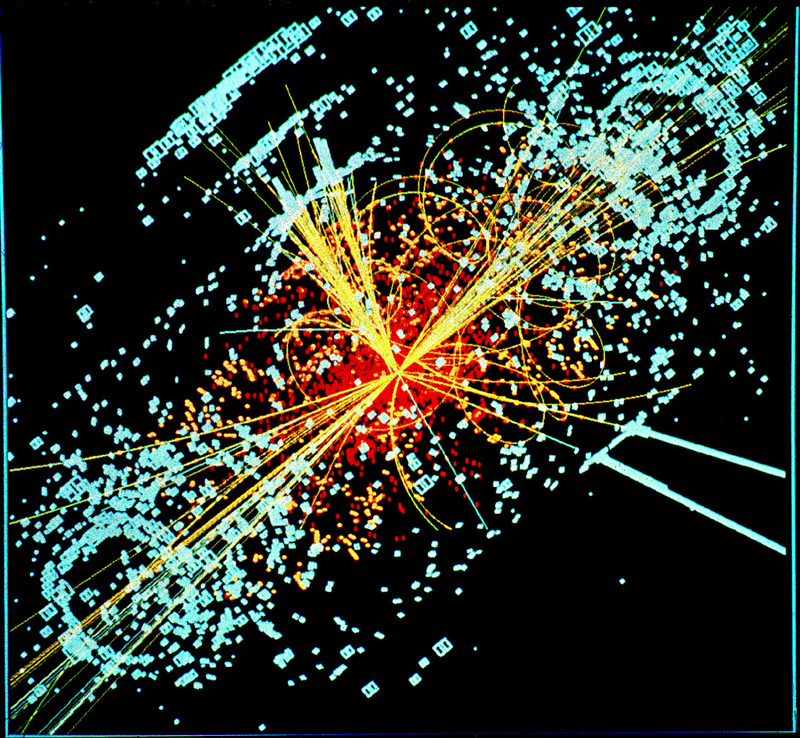 According to theoretical physicist Michio Kaku, the universe is a symphony of vibrating strings. Physics is nothing but "the laws of harmony that you can write on vibrating strings." Chemistry is nothing but "the melodies that you can play on interacting vibrating strings." People are nothing but melodies. We are cosmic music played out on vibrating strings and membranes. Kaku declares that Einsteins "Mind of God" or The Theory of Everything is simply the consummate music written and performed through multi-dimensional hyperspace. God is the Great Conductor. Theoretical physicists who hold to M-Theory prefer the mathematical equations of science to be in eleven dimensions (e.g. ten dimensions of space and one dimension of time). The only other possibility, proposed by theoretical physicists at Harvard, is mathematical scientific equations in twelve dimensions (e.g. ten dimensions of space and two dimensions of time), otherwise known as F-Theory. F-Theory (the one to which I hold) has a universe of double time. If we live in a double time universe, it would be possible to walk into a room and observe people "frozen in time" while moving to the beat of different time that is perpendicular (or eternal) to traditional time. We see evidence of this time travel in Scripture (Moses and Elijah on the Mount of Transfiguration in Jesus' time, Old Testament saints walking among the living after Christ's resurrection, etc...). When the mathematical equation for The Theory of Everything is finally solved, it will either be math in eleven dimensions (M-Theory) or twelve dimensions (F-Theory). The math doesn't work out in space/time dimensions that are greater or smaller than eleven or twelve. 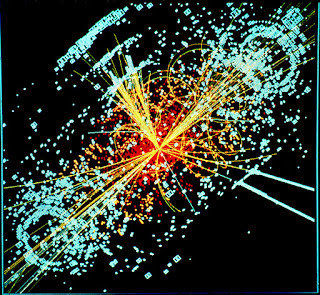 So modern science has come to believe that the universe is composed of vibrating strings that form different styles of matter (music) which produce the symphony of creation. If God is the Great Conductor, then man becomes the great interrupter. War, racism, murder, suicide, and crime are chaotic disruptions of the symphony of God's creation. A life lived in opposition to the Father/Creator is a life ill-lived. Let me show you from the Bible. The Greek word sumphonos, from which we get our English word symphony, is clearly seen in the story of the Prodigal Son (Luke 15), a story that illustrates a life lived "far from God." 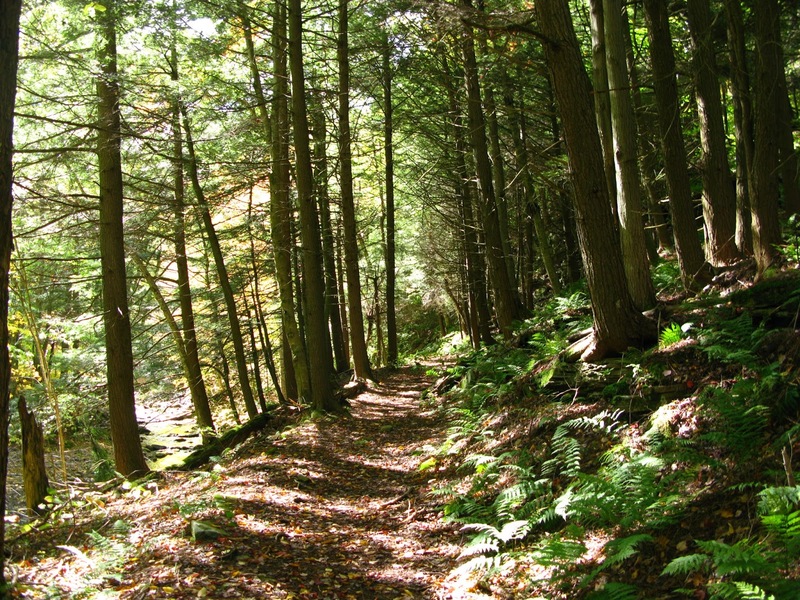 In this parable, a son demands his inheritance before his father dies. The father consents, and the son leaves for "a far country" - a country far from his father. In this far land, the son wastes his inheritance through prodigious (e.g. excessive, wasteful) living. Finding himself without any means of support, the son feeds pigs for a living. One day, he "comes to his senses" and realizes that he would do better as a servant in his father’s house. So the son sets out to see his father. Here's the point. Both science and the Bible speak of your life being a great symphony of music. Your life is designed by God to be beautiful music. But you must follow His lead. The question is whether or not the beautiful music of your life is being disrupted by you forsaking the Conductor's lead. Jesus said, "He who has seen Me has seen the Father" (John 14:9). Jesus is the Great Conductor of your life, the Father of Creation, and the one who leads the vast orchestra of vibrating strings we call the universe. When you surrender your life to Jesus Christ and follow the lead that He sets, you will find the beautiful music played through by your life fits seamlessly into the wonderful symphony of creation. On the flip side, a life apart from Christ is a chaotic, dissonant life that ends in brokenness. Science and Scripture, like always, fully agree. 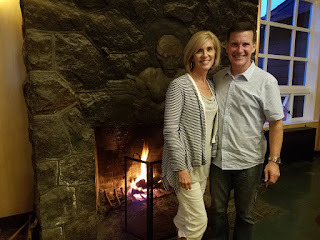 Rachelle and I had dinner last Friday night (June 3) at the Volcano House Lodge on top of one of the most active volcanos in the world, Mount Kilauea, Hawaii. Being a history buff, I found it ironic that exactly 150 years earlier, on June 3, 1866, Mark Twain ate dinner at the exact same Volcano Lodge and returned to the mainland to make a living describing the Sandwich Islands (Hawaii) to Americans who knew little to nothing about the place America now calls our 50th state. As an aside, beside the fireplace at the Volcano House is a "Ripley's Believe It Or Not" page from the year 1935. It says that the fire "at the Volcano House has burned without going out for 66 consecutive years," which means that the fire that burned in that fireplace in 1866 when Mark Twain visited had not been allowed to die out for nearly seven consecutive decades. Mark Twain became the de facto expert on all things Hawaiian. On one particular occasion while speaking to a baseball team in America upon the team's return from the Sandwich Islands, Twain vividly described his personal love for Hawaii. The vivid language he used could very well be a description of heaven. Contrary to dispensational teaching which says this earth will be consumed in a fireball at the end of a millennial reign of Christ, I take Jesus words' "The meek shall inherit the earth" literally. The prophet Isaiah spoke of "the world without end," and it seems to me that at the Resurrection, the earth - which continues to groan waiting for it's redemption - will find the curse reversed. Nothing could be more enjoyable than exploring the world (and possibly other worlds) with the family of Christ in eons to come. Contemplate Twain's vivid description of Hawaii and ask yourself if it doesn't cause you to anticipate heaven. We all have purpose in this life, but if our hope in Christ is for this life alone, then we are to be most pitied above all people (I Corinthians 15:19). I believe a daily meditation on heaven will carry all of us through our daily problems on earth.